Getting things done for America! ← Words of Wisdom? A First Year Member’s Reflections on Service, Work and Life. Ambitious, right? Hello AmeriCorps members and interested citizens! SET UP – (7:30 – 8:30 am) the morning of the festival, we need a few volunteers to set up the fitness stations, put out tables and chairs and cut up fruit. 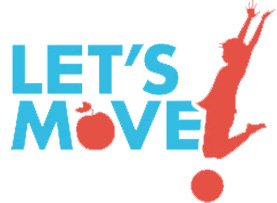 DURING THE FESTIVAL (8:30 – 12:00) Students will have to participate in different stations and an adult volunteer will stamp their “fitness passport”; when they fill up their passport they earn a prize. Volunteers will be needed to help run the race (pass out medals and trophies, keep parents of track during the race, cheer), register families, serve food, serve water, take pictures, help students find their way, run a raffle, run a fitness stations, including soccer games and even a bouncy house! CLEAN UP (11 – 12) Pick up materials, clean up, pick up tables and chairs and return to the school. This entry was posted in The Learning Community Education Fellowship, Volunteer Opportunity. Bookmark the permalink. #Repost @tfarhodeisland (@get_repost) ・・・ Grateful for the Federal Hill House Association for providing a space for @americorpsri to come together and serve in honor of MLK day!! How do we empower students to think planetarily?